After 11 years of paying support to a child that wasn’t his, Carnell Smith organized an advocacy organization to fight paternity fraud. The U.S. Citizens Against Paternity Fraud has successfully set up legislation in several states that allows men to use DNA tests to disprove paternity. Smith is also heading up a national survey, said to be the first of its kind that will examine the emotional, financial, legal, and social impact of paternity fraud on men. Men’s Rights: Most guys, including those who are victims of paternity fraud, think that this would never happen to them. What is your background with paternity fraud and how did you get involved in advocacy? Carnell Smith: I, like so many other men, was paying child support when I discovered 11 years later that I was not the biological father. And this was right after the court awarded my former girlfriend over 40% of my net income. Getting the DNA test wasn’t something I had planned on doing, but after my child support had been increased so high I just went to a friend at church and asked him to pray for me. Little did I know that my friends, my family, and people at church never believed that I was the father of this child. At that point they told me I needed to get a paternity test. Men’s Rights: I know a lot of the fathers are torn emotionally about this prospect that their child might not be theirs. What does that feel like emotionally to suddenly feel like you are in on something that you weren’t privy to for so long? Carnell Smith: I can tell you a man who makes this horrific and surprising discovery is in for a roller coaster ride. It went from a deep sense of pain and loss as if I had a child die in my arms to being completely disconnected. As I thought about it and more time passed, there is absolutely no way that the child’s mother could not know that she had been involved with someone else around the same time of conception. It went from deep sadness to deep hurt to anger to rage to where I demanded that something be done about it. In my case I wasn’t married to the mother but I was still established as the legal father in the eyes of the court. The court said that it was my fault that I didn’t find out sooner even though I didn’t know there was another guy that could be the dad. Men’s Rights: After the wide range of emotions, I imagine you were thinking how can we remedy this legally? What are my legal responsibilities now that we’ve found out that this child isn’t mine? Tell me about what was waiting for you legally when you found out. Carnell Smith: If you are a mother and swear under oath that this guy is the biological father, then that is presumed to be the truth. If it’s not true and found to be false, it should be corrected immediately. Let me make a distinguishing point. There is a difference between loving a child and doing things for the child on your own free will and accord versus being under a “pay or go to jail” court order. There are many of us guys who if we had the opportunity to be an active parent to the child – even if we are not related – would be willing to do that without a court order as long as we could see the children. But one of the main reasons why there are websites like this and DadsDivorce.com, is to help those disenfranchised fathers who may be the dad but they are not allowed to see the kids. When I went to the Georgia legislature it was very easy to point out a double standard that is so glaringly obvious and it is the difference in enforcement of a child support order compared to a visitation order. There is a firm enforcement on payment. Be a couple days late with your child support payment and you can be immediately hauled in front of a judge and threatened with arrears and jail time. But if you can’t visit your children because the other parent refuses to cooperate, well the police won’t intervene saying it’s a civil matter and you have to hire an attorney and wait a couple weeks to get a court date to get in front of a judge before you can plead your case and so forth. We showed the legislature that it was an absolute hypocrisy to require men to pay child support for children that are proven to not be theirs. Some of the men never knew the children. There were even men who didn’t even know the mothers! Men’s Rights: It’s not only defrauding the man who is being expected to pay the child support, but it is also defrauding the biological father whoever that may be and in a way it is also defrauding the child. So it is a crime of deception that affects many people’s lives. Carnell Smith: That is why we undertook the project of the national paternity fraud survey. We wanted to look at the fact that even though men are out there paying taxes that are used to support the various tax-funded social programs that there are almost no services for men in these situations. There are problems that are going to come up when the man finds out he is not the father of a child that he is already under an existing order to pay for. So we undertook collecting data to provide an academic study to find out what happens to these men? What are the consequences? What we continue to find again and again is that these men go from various ranges from being shocked and stunned and in disbelief to anger, depression and dangerous coping mechanisms like drugs and alcohol. I even had one client who committed suicide over this. Signing a Voluntary Acknowledgement of Paternity or a paternity confession without a DNA test. Marital presumption. Any children your wife has while you are legally married are automatically presumed to be yours in most states. Default judgment. A court can make a man the father of a child he doesn’t know based on that man not showing up to court for whatever reason. 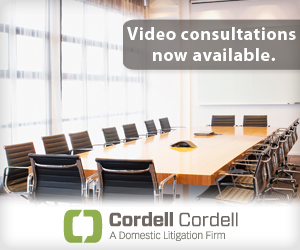 The divorce lawyers for men at Cordell & Cordell handle many domestic litigation issues, including paternity. Contact the Cordell & Cordell office nearest you or learn more information about paternity laws on DadsDivorce.com. I just found out after 35 years my father was not my biological father with a paternity test. I am glad that this topic is finally coming to the front. This matter has been swept under the rug for too long. This seems to be a matter where the government is providing a foundation for and being an accessory to mail fraud. That is basically charging you with a crime with no evidence or court appearance. I believe in those cases a man should be able to sue the system and woman as with any other court case or imprisonment. All a woman has to do is apply for welfare and give them a man’s name and he is presumed the father.